The first step in booking a charter is simple—reach out! Inquire about a boat charter today. The pricing of your Bareboat Charter is dependent on several factors – mainly the season. 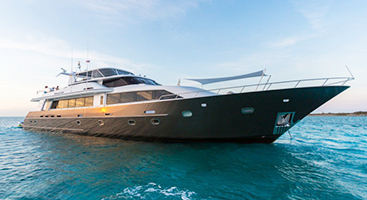 Charter bookings are highly dependent on the availability of your desired yacht – learn more. We want to make sure to secure your desired boat and dates, here's how you lock both of those down. Here are our best travel recommendations from the Continental United States and Europe. Unless you're a British citizen, you will need to anticipate customs upon your entry to the BVI. A system of checks and balances in place to orient you to your boat before leaving on charter. If you’re interested in Bareboat Charter with Virgin Charter Yachts, the first and most effective plan of action is to reach out! We are here to answer your questions, Monday through Friday 9-5pm EST, all you have to do is contact us either through our contact inquiry or live chat (when available). To expedite the booking process, we encourage you to browse our fleet and identify a boat you’d like to reserve. For more information on the different boats VCY offers, please visit our Bareboat Charter Guide. What’s included in the rental fee? Your bareboat charter cost covers the Yacht only along with a dinghy and outboard. We make sure the Yacht is fully-fueled, watered and ready to leave the dock. You buy your own provisions, ice, etc… and whatever else you want on board for your charter. When you return the Yacht at the end of your charter, it is refueled and watered, at the client’s expense. You will notice that all of our Bareboats are priced by season including Peak, High, as well as Middle season pricing. There are several considerations involved in this pricing structure that we’d like to clarify below. High Season is the most desirable of dates for the BVI when the weather is typically beautiful, and businesses as well as events are in full swing. This is also when boat prices are highest. Middle Season is when businesses are respectively gearing up and/or gearing down for the season. Although weather is typically still beautiful during these dates, there is still a chance of a hurricane. ‘Hurricane Season’ in the Caribbean is officially from June 1st – Nov 30th, with the ‘peak’ being August and September. It is very rare to see hurricanes forming in June or July, and equally as uncommon into October and November. If you book your trip during these days, it could potentially be interrupted by a named storm. Guests who choose to travel in May/June/July/November and the first parts of December are always encouraged to secure travel insurance just in case a storm forms around the time of their charter. Low or Off Season dates have special regard for the weather. The reason these dates are lowest is price is because they are in the heart of ‘Hurricane Season’ when the chances are highest we could have a major tropical depression. ‘Hurricane Season’ in the Caribbean is officially from June 1st – Nov 30th, with the ‘peak’ being August and September. It is very rare to see hurricanes forming in June or July, and equally as uncommon into October and November. If you choose to charter in August and September you will typically enjoy calm seas and very light winds, and the rates are the lowest of the season. However, the flip side is you are traveling in the two most active months for storms so your trip could potentially be interrupted by a named storm. Guests who choose to travel in August, September, and October are always encouraged to secure travel insurance just in case a storm forms around the time of their charter. Off season is literally that, off season, when many of the British Virgin Islands’ businesses close. This is also the heart of hurricane season so much of the tourism business in the islands slows. We don’t encourage charters at this time but if you do feel compelled to charter, we strongly advise purchasing trip insurance. There are additional expenses to consider when booking a charter that are not included in the advertised bareboat charter rates. There is no extra ‘tax’ on top of your gross charter fee–what you see on our website is what you pay. The extra charges to consider included: fuel, provisions, alcohol, cruising permits (a levy imposed by the BVI Government on all charters, runs $6 per person/per day), National Parks fee (between $25-$45 per boat/per week depending on how many people you have on board), VISAR (Virgin Island Search and Rescue, a collection of $5 per person is collected and passed on to the search and rescue team of volunteers who NEVER SAY NO to an emergency rescue at sea, and Hull Damage Waiver Insurance. You are responsible for any damage or loss to the vessel during the term of your charter. Your liability is up to the full value of the yacht (damage due to negligence) and/or the full insurance deductible. There is an option to lower your deductible that you are responsible for. This option will cost you an additional $50/day payment. This payment also lowers the security hold required on your credit card. Make sure that you understand the liability you assume. Insurance does not cover damage caused by negligence. Examples of negligence include sailing into prohibited areas, sailing after dark, grounding the vessel, and operating under the influence of alcohol or drugs etc. 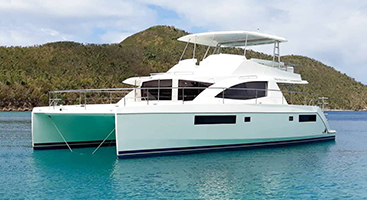 Virgin Charter Yachts takes pride in offering Yacht Ownership programs for those interested in owning a yacht in the British Virgin Islands without the hassle of managing the vessel. Many owners release dates for their boats which we can in-turn, offer to our guests for charter. 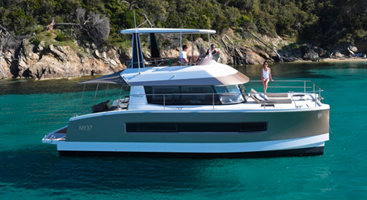 The availability of these boats is dependent on the owners approval, so if a yacht ownership boat is requested, it takes some time to confirm availability with the boat’s owners. Be patient, as we will communicate with you during this process. If the boat is VCY-owned, there is no delay in checking availability and reserving the desired dates so long as they are available. We also take pride in the servicing and up-keep of our vessels. This means that availability will depend on the scheduling of regular maintenance on each boat, and if for some reason your dates are not available for the desired vessel, we will make recommendations for additional dates that are available. We appreciate your cooperation with these efforts! Your charter is not confirmed until we have received a signed Charter Contract from you. Once you declare your desired boat and we confirm that your dates are in fact available, we will send you this contract to complete. You will need to submit the signed contract with a check for 25% of the quoted price that will act as your official deposit. Our Charter Contract states: “No portion of the charter fee paid herein is refundable unless the Charterer provides the Company at least ninety (90) days written notice, prior to the start date of the charter of their intention to cancel and further provided that during such ninety days period the company is able to rebook the Yacht for the same charter dates under such terms and conditions at least as favorable to the Company as those set forth herein. There will be a $300.00 cancellation fee in the event of a refund. In the event that the Company has to cancel any portion of the charter due to severe weather or warnings of severe weather, a credit for the unused portion of the total charter fee will be issued. This credit can be used against any future charter with the Company depending on Yacht availability. We strongly recommend our clients to take out their own trip cancellation, medical and personal effects coverage. If you have any concerns at all about any part of this subject, give us a call, we are here to assist. After 90 days prior, deposits are non-refundable unless trip insurance is purchased. We recommend that all charters booking in low/off season purchase trip insurance in the instance a storm cancels your charter. Trip insurance is also advised if there is a chance your dates will change. Without insurance, the deposit will be lost. The final boat payment is due 60 days prior to the charter trip in the amount covering the remainder of the agreed upon price shown in your contract. Unless the final deposit is paid by check, your charter is not secured and you may run the risk of losing your deposit if we need to re-book your charter. Virgin Yacht Charters is located at Nanny Cay marina on Tortola. We are situated on the south side of the island about 3 miles west of the capital, Road Town. There are no direct, long-haul flights from the continental US, Canada or Europe which is great for the islands but confusing for charter guests trying to make travel arrangements. The information below will help you determine which option is best for you. There are two ways to get here; you can choose to fly into St. Thomas, US Virgin Islands and catch a ferry to the island of Tortola. Or, you can fly directly to Tortola, BVI and take a taxi to Nanny Cay marina. The second option is certainly more convenient, but it is really dependent on where you are coming from and the flight options you have available to you. Flights directly to Tortola can be considerately more expensive and far less frequent which is why many of our charter guests choose to fly into St. Thomas and ferry to the BVI. It is important to consider, however, the cost of the ferry services as well as the time involved to get to the ferry points from St. Thomas airport in addition to flight costs. We have detailed flight information below based on your country of departure to help you with your travel plans. Tortola’s international airport, Terrance B Lettsome (airport code EIS) with flights arriving daily from San Juan, Puerto Rico as well as other nearby Caribbean airports. You also have the option of flying into the St. Thomas (STT) airport and catching a short hop to Beef Island on Tortola with either Seaborne Airlines or Cape Air. When you fly from the continental United States or Canada directly into the British Virgin Island of Tortola, there are two routes you can take. You can fly into Tortola International airport (airport code EIS) via San Juan (SJU) from Charlotte, Houston, Atlanta, Washington, Newark, JFK, Miami, Fort Lauderdale with a connecting flight with Seaborne, Cape Air, Intercaribbean or Liat. The major U.S. airlines already have affiliations with these Caribbean airlines so they can book you all the way through to Tortola. Although this appears to be the way to go, one of the difficulties of doing this is to time the flights so that you don’t have to end up spending the night in San Juan in order to catch the connecting flight to Tortola, which leave at limited times. Your other option to consider is to fly into Tortola (EIS) via Santo Domingo (SDQ) from Miami, Newark, Chicago, Philadelphia, Atlanta, Washington, Houston, Boston, Charlotte, Dallas, Detroit, Minneapolis, Orlando with a connection flight with Intercaribbean. Note that the flights from Santo Domingo to Tortola are very popular and sell out early, especially the later flights that are more convenient when making same day connections. These flights will need to be booked separately as they don’t have an affiliation with the major US airlines. By flying directly into Tortola, you can avoid the cost and delays involved with taking a connecting ferry service to the island from St. Thomas. Once you exit the airport, it’s a short 45-minute taxi ride to Nanny Cay which we will be happy to arrange. See the taxi information below for more details. Our staff is happy to help with all of your travel plans, just give us a call or hit us up through our online chat. You’ll probably find that there are more flight options available from the US and Canada that fly into St. Thomas airport (STT) which is served by United, American, Delta, Jet Blue, and Spirit Airlines. There are many direct flights daily to St. Thomas from major cities including — New York, Boston, Atlanta, Miami, Fort Lauderdale, Charlotte, New Jersey, Washington D.C., and Houston. If your flight itinerary takes you to St. Thomas in the US Virgin Islands, most of our charter guests then take a ferry service to Tortola. There are several ferry services to choose from with varying schedules. Below you’ll find more detailed information. The public ferry services depart from the Charlotte Amalie Harbor which is a 15-minute taxi ride from the airport on St. Thomas. Dolphin, the private water taxi service departs from the American Yacht Harbor Marina in Red Hook which is a 45-60 minute taxi ride from the airport. If you choose to arrive in St. Thomas and plan on taking a ferry that same day to Tortola, please note the last ferry departure time of the day and give yourself plenty of time to transfer from the airport to the ferry port (45-60 minutes), purchase tickets and check bags (20 minutes) unless you intend to stay on St. Thomas for the night. Upon arrival at either ferry dock, West End or Road Town, its a short 15-minute taxi ride to Nanny Cay which we will be happy to arrange. See the taxi information below for more details. There are also commercial flights available from St. Thomas (STT) to Tortola (EIS) with Air Sunshine and Cape Air if you’d prefer to fly. For private charter flights, contact Fly BVI. If you have a larger group, this option becomes more attractive and certainly will get your group to Nanny Cay faster than taking a ferry. Upon arrival at the BVI airport, its a 45-minute taxi ride to Nanny Cay which we will be happy to arrange. See the taxi information below for more details. If you need any advice with regards to travel arrangements please do not hesitate to contact our office or chat with us online. There are no direct flights from Europe to Tortola (EIS). Flights with major European airlines connect through the Caribbean airports at Antigua (ANU), St. Thomas (STT), Puerto Rico (SJU), and St. Maarten (SXM). If flying through Antigua (ANU), connecting flights are available with Liat, interCaribbean Airways or VI Airlink into Tortola (EIS). If flying through Puerto Rico (SJU), connecting flights are available with Cape Air, interCaribbean, Air Sunshine and Seaborne Airlines into Tortola (EIS). If your flight takes you through St. Maarten (SXM), connecting flights are available with interCaribbean and Winair to Tortola (EIS). If you are flying through St. Thomas (STT), you can book a connecting flight with Air Sunshine, Cape Air or take a ferry to the island of Tortola from the ferry ports on St. Thomas. Please note the last ferry departure time of the day and give yourself plenty of time to transfer from the airport to the ferry port, purchase tickets and check bags. The public ferry services depart from the Charlotte Amalie Harbor which is a 15-minute taxi ride from the airport on St. Thomas. Dolphin, the private water taxi service departs from the Red Hook Marina which is a 45-60 minute taxi ride from the airport. See below for ferry schedules and information. Private charter flights are also available from any of these Caribbean connections through Fly BVI air charter service. Once you arrive on Tortola by either ferry or flight, you’ll need to take a taxi to our offices at Nanny Cay which we will be happy to arrange. See the taxi detail below for more information. If you need any advice with regards to travel arrangements please do not hesitate to contact our office. Unless you fly into Beef Island, you will need to arrange for ferry services to get you to Tortola. There are several public and private ferry services with routes from St. Thomas, USVI to Tortola, in the British Virgin Islands. Once you arrive in St. Thomas you would then catch the 45-minute ferry to Tortola with either Road Town Ferry, Native Sun or the Interland Island. Charlotte Amalie Ferry Dock in St. Thomas is just 15 minutes from the Airport and Red Hook 45-60 minutes. There are plenty of taxis outside the airport to take you to both. Please note: unless you have enough guests in your party to fill a taxi, they will wait until their taxi is filled before departing. Rates are on a per person basis for all taxi trips. 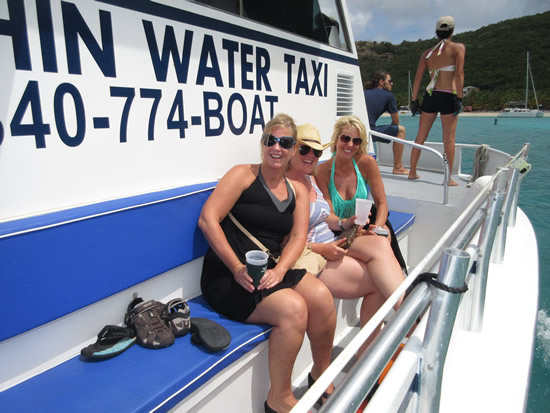 If the ferry schedules do not accommodate your flight times to Tortola or you would prefer the comfort/convenience of a private water taxi, we recommend Dolphin Water Taxi in St. Thomas. 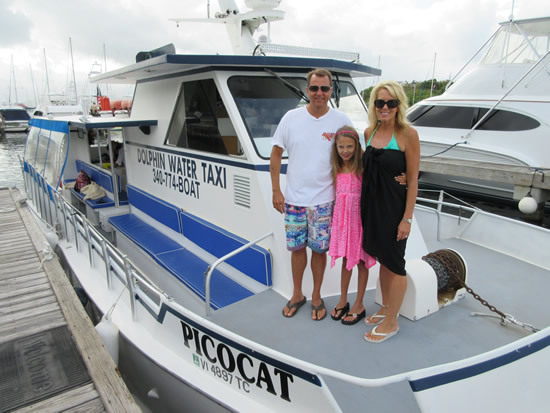 They can meet you at the airport and transport you to Red Hook St Thomas where you board their private water taxi. 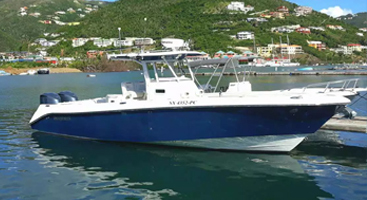 Dolphin will then bring you to British Virgin Islands customs on the West End of Tortola, and then they can bring you right to our yacht charter company at Nanny Cay Marina. Keep in mind that upon arrival via ferry, you must clear customs at either Road Town or West End, even if using a private ferry service which gives you the option of taking you on to Nanny Cay. 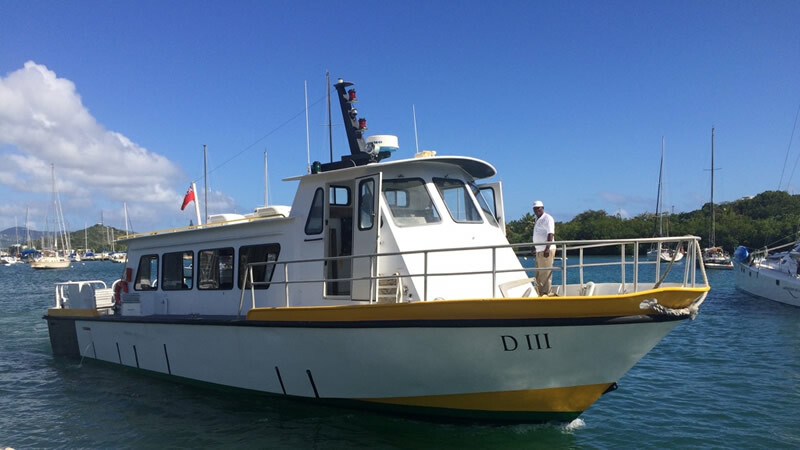 Although a private water taxi can be more expensive, Dolphin offers a service that will submit your passenger information as well as passport to customs ahead of time (via online application) which can make your customs visit go a lot faster. For help with travel reservation, give our customer service team a call and we would be happy to help you! If you choose to leave one country and enter another during a charter (i.e leaving the BVIs to enter the USVI’s) it will be necessary to clear both customs and immigration when you leave the first country and enter customs and immigration upon arriving at the next. We will provide you with information about the area you are visiting during your chart briefing. Once you are through customs, a driver will meet you and bring you to Nanny Cay Marina where a friendly Virgin Charter Yachts representative will greet you and show you to your charter. A charter day begins at noon and your last day ends at noon. Depending on your travel plans you may or may not arrive in time to complete all the required paperwork in time to leave the first day. Typically you need to arrive at Nanny Cay by around 1 pm in order to have enough time to complete your boat briefing and leave the dock. If you do not arrive by 1 pm then your first day can be as a ‘sleep aboard’ guest. You will arrive and stay on board the first night but will have all your boat and chart briefing the following morning. When requested (and if the boat schedule allows), we are able to make a boat available for clients to board on the evening prior to their charter. The cost is 60% of the seasonal daily rate. This eliminates the inconvenience of having to book a hotel for one night prior to the charter start. Instead of having to unpack in a hotel and then repack and move to the boat the next morning, our guests can enjoy a relaxing night aboard their charter boat. What a wonderful way to start enjoying the Caribbean atmosphere from the moment you arrive! A Sleep aboard commences from 5 pm, but if the boat is available before this time then we will gladly allow guests to board. The following morning, we reserve the right to have our Staff board the boat to complete any outstanding work on the boat (this is fairly rare). There may well be no more work to do and the boat is fully prepped for sea, but we will still hold the boat on the dock until noon, unless special circumstances apply. Please note, and this is important, the charter start time as per signed charter contract is 12 noon. Before Noon, the Boat / Client is not under contract to us and this means that we are open to all sorts of problems not least insurance. Clients can be unaware that the start time is noon, which can sometimes lead to clients feeling frustrated because they wish to get on with their charter. We are subject to insurance and contractual issues so please bear with us. If arriving at Nanny Cay after 5:00 p.m. the night before a charter, the taxi driver will bring you to the dock. Information pertaining to your boat allocation will be posted on the door of the Virgin Charter Yachts office. All yachts are located directly opposite our office on H Dock. The yacht will be ready with the air conditioning and lights on…make yourself at home. Not sure about restaurant choices for dinner? We’ll leave a file on the table of the salon with some wonderful dinner options as well as other useful information. Pop into our office the next morning for some final paperwork and that all-informative chart briefing, and then off you go. The morning of your first charter day, the operations team member will conduct a ‘chart briefing’ with you to cover the navigation and hazard charts for the BVI. Navigational charts will help orient you to the islands, while the ‘hazard charts’ will show you areas that are ‘out of bounds’. These are the areas that are off-limits to our bareboat charter guests. While going through the charts, the operations manager can also help provide a suggested itinerary and ‘must see’ stops to experience while on your charter. Check out our Island Guide to read about some of the more popular island destinations. To familiarize you with your charter yacht, you will have a one-on-one boat briefing with a member of our operations team. They will spend approximately 2 hours walking through the boat’s systems so you are comfortable with all aspects of operation — things like demonstrating how to operate the generator, air conditioning, water systems, etc. on board your sailboat or powercat. Our operations team is happy to answer any and all questions before you shove off on your charter vacation.